Are you tired of ordering kits with contents you do not need? Then why not order your programs, individual projects and matching kits from TPS? TPS are creating the program using project based learning; cross curricula materials with inclusive lesson plans. 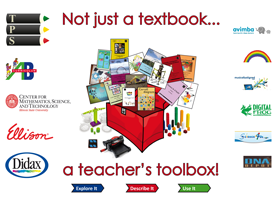 TPS Publishing Inc. can offer complete kits for our NGSS, Math and Forensic Science programs, or for just one project to suit your needs. Each kit includes most materials needed to complete projects and only excludes certain items TPS believe are common to schools or home; items which TPS are prohibited to ship or items that are too large to pack and are not commercially viable. For example, large pieces of cardboard or empty soda bottles. TPS Kits to Other Programs! TPS Publishing can provide bespoke kits made just for you. We can amend the size of kit to suit your student/ child numbers. TPS can also price kits for your needs for other supplier programs. You send us the list of what you need, and the volume and we provide a personalized quotation. 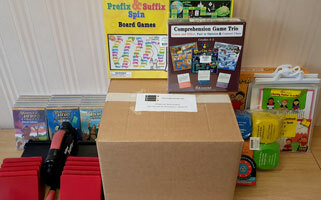 TPS can add or remove items for kits as you wish and customise quantities of kits for any class size you need. In year 2 this service is offered for replenishment. TPS provides kits for one child or up to five children so you no longer have to buy a class set or spend your valuable time purchasing materials.